Thank you Priscilla Thomas Photography for wrapping up our work with Brittany & Mark's Charleston destination wedding at The William Aiken House. Their August nuptials were held on one of the hottest days of the year with a heat index reaching 106. Yes, you read that right...106! But the humid weather didn't stop the sweet couple and their guest from celebrating in a grand, Lowcountry style! Brittany donned a strapless gown and her bridesmaids wore long mint dresses. Wedding Hair by Charlotte gave each gal the perfect hairstyle and summertime glow. The couple, with the help of Ooh! Events, created a fresh design pulled from summer hues of mint green and crisp white. Wedding Flowers by Lisa Ferguson created tablescapes of soft white hydrangeas and roses and burlap table numbers. Brown Rattan lounge furniture was covered with ivory cushions and patterned pillows. We love the lanterns hung from the trees, the gorgeous sugar magnolias on the cake and the sweet palmetto roses each guest received as a keepsake. After dining on mouthwatering cuisine from FISH, the moved the party to the dance floor to end the evening to the tunes of The Mighty Kicks. After their beautiful William Aiken House wedding, the newlyweds hopped on a plane to Paris to start their new lives together! 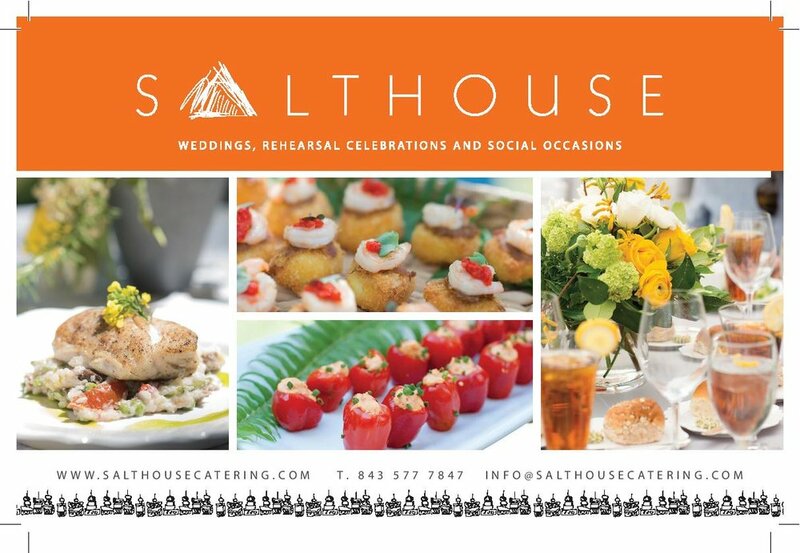 Check out our list of preferred vendors and venues. Oh, and if you need help securing guest rooms for your wedding, let us help you secure your hotel group blocks!